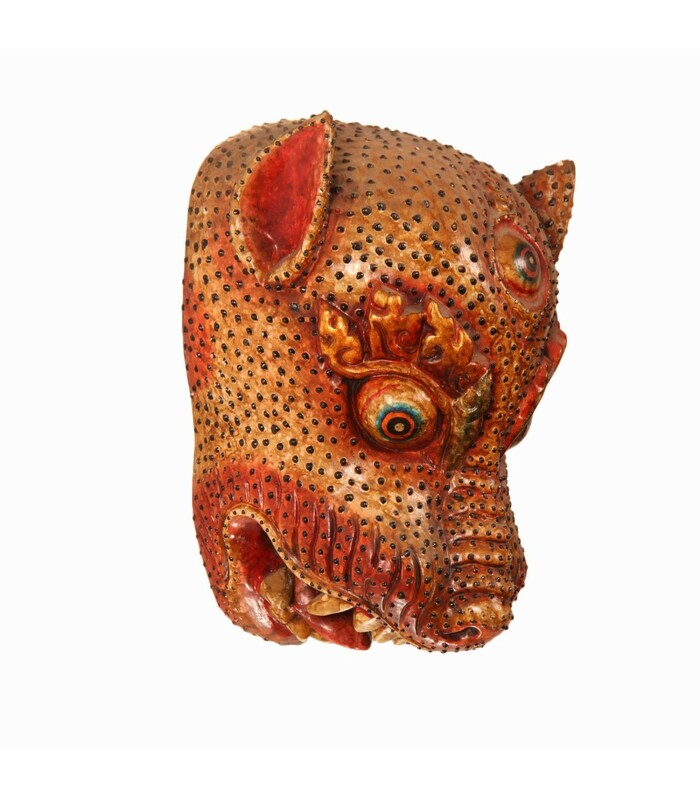 This fierce looking tiger head is handcrafted in wood by skilled local Nepalese craftsmen. 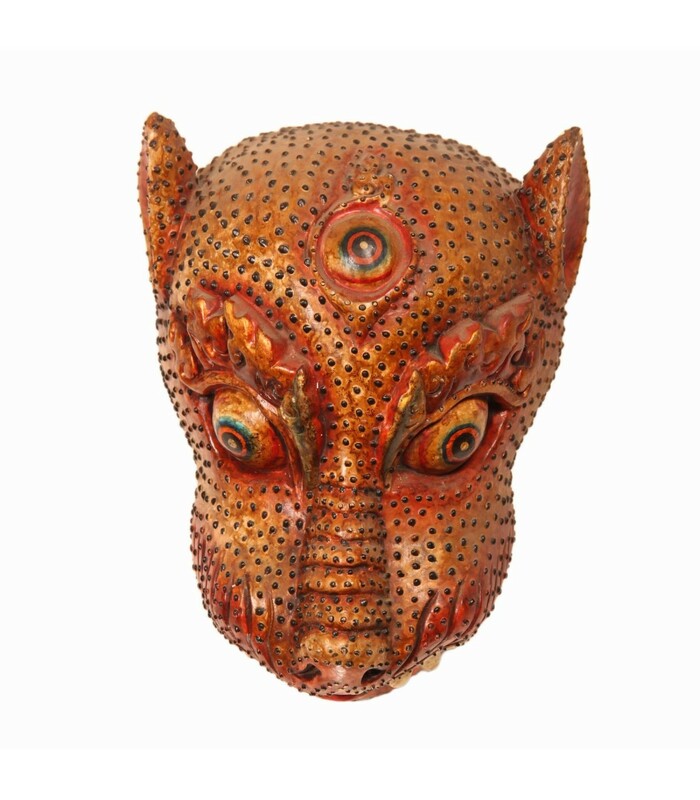 It has three eyes; third eye symbolizes enlightenment. It Measures approx 13 inches in Height. 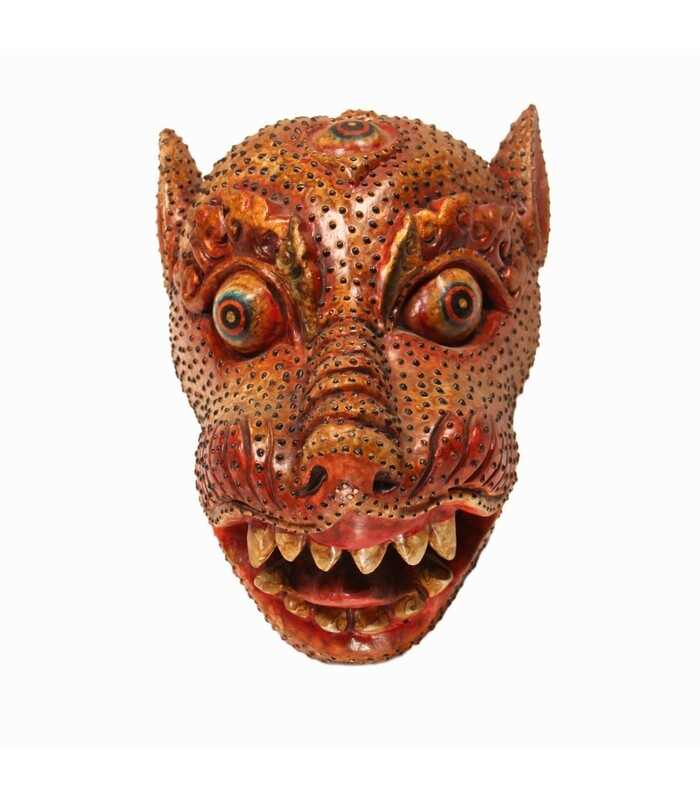 You can use this tiger head as a mask or as a wall décor.